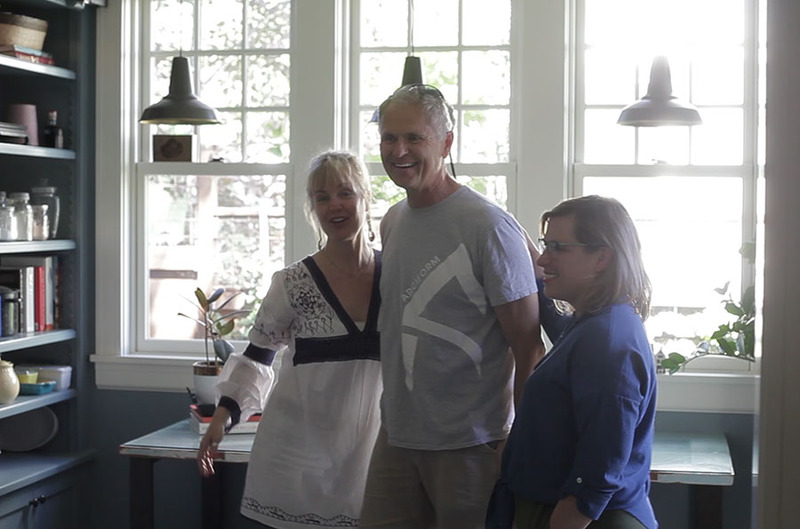 Last Tuesday we held a photo and video shoot at Kerri Hoyt-Pack’s Sellwood home. It started with a visit to the wrong house—but not to worry, the gentleman who answered the door knew Kerri. “Kerri? She works at Nike?,” he asks. Well, she used to work at Nike, but not anymore. After an extensive career in marketing that allowed her to see the world, Kerri has recently launched an independent small business called The Liberty Collective. We learned that she’s focused on investing in women leaders through project-based, collaborative learning and partnerships. Clearly, she is energized and inspired by this new venture. “I have just left a double decade career with Nike to start my own business, focused on developing women leaders and evolving workplace culture. It’s an amazing time to be leading this work, and the shift in pace and rhythm of my days is a welcome change. 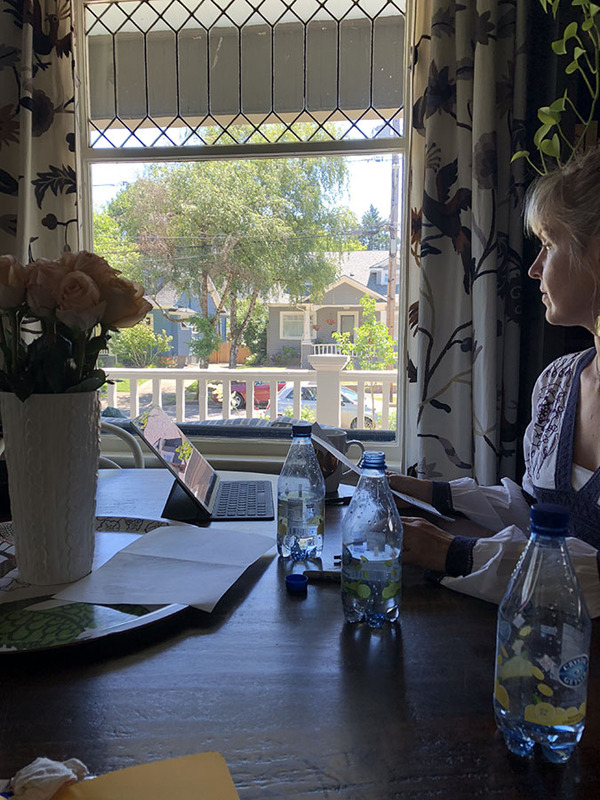 I have a small studio office here in Sellwood, so that means I have a much nicer commute these days and more time in my wonderful home,” says Kerri. As Kerri prunes her roses in preparation for photos, I chat with her about what it was like working with ARCIFORM on the remodel of her home over the past 10 years. Well, I worked mainly with Anne, but the whole ARCIFORM team became like family in the end,” she says. 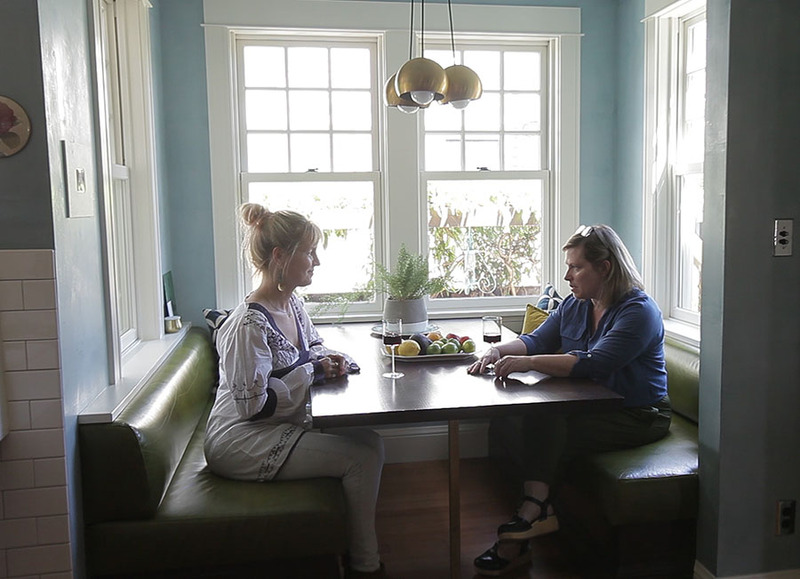 Anne De Wolf and Kerri Hoyt-Pack reminisce in the nook about the 10-year experience of remodeling her home. “Roger [Muller, site lead] was working here so much that when [the remodel] was over I found myself missing him,” says Kerri. Her cat Bijou, however, may have missed ARCIFORM most of all. “During the project, Roger and I would start each workday going over what would be done that day. When I’d come home after work, it was like Christmas getting to see what had been finished. Bijou was always sitting in the middle of it all! It became such a ‘thing’ that I started documenting it with photos,” Kerri laughs. Bijou liked to perch on the crew’s materials at the end of each day. 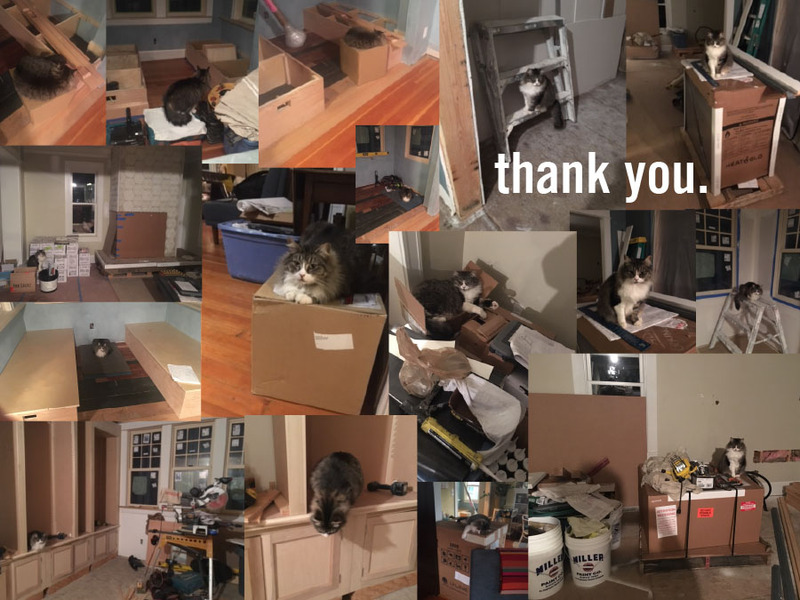 Kerri loved it so much, she created a photo collage of Bijou’s new habit for ARCIFORM! And, sure enough, when ARCIFORM site lead Roger Muller stopped by to share some insight into the project, Bijou came running. As Roger tells us why he loves Kerri and her home, his passion for his work comes through. 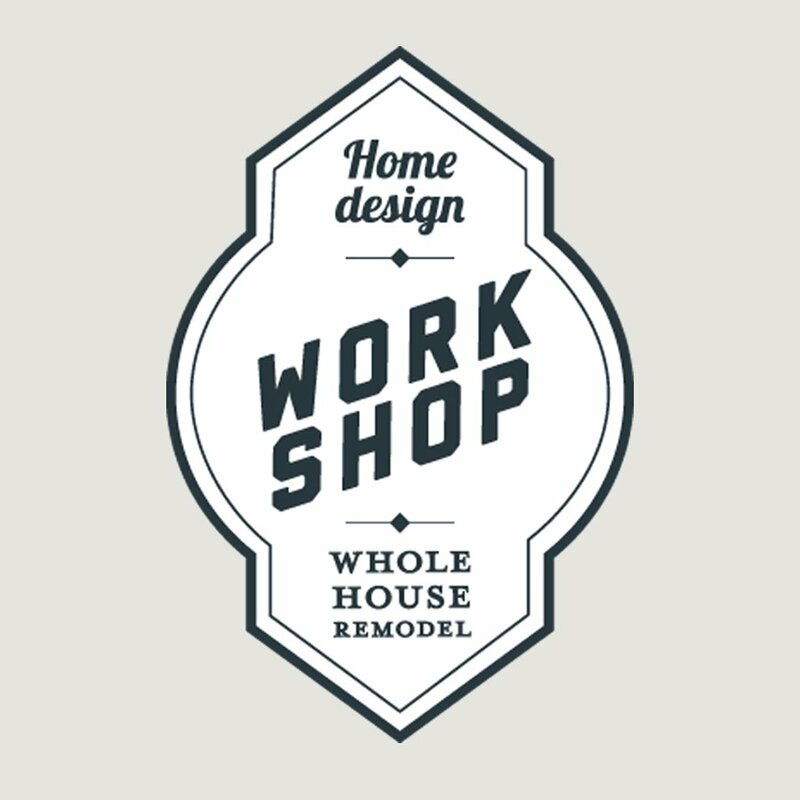 “A good remodeler knows that the little details all add up. That’s why I like working for ARCIFORM. 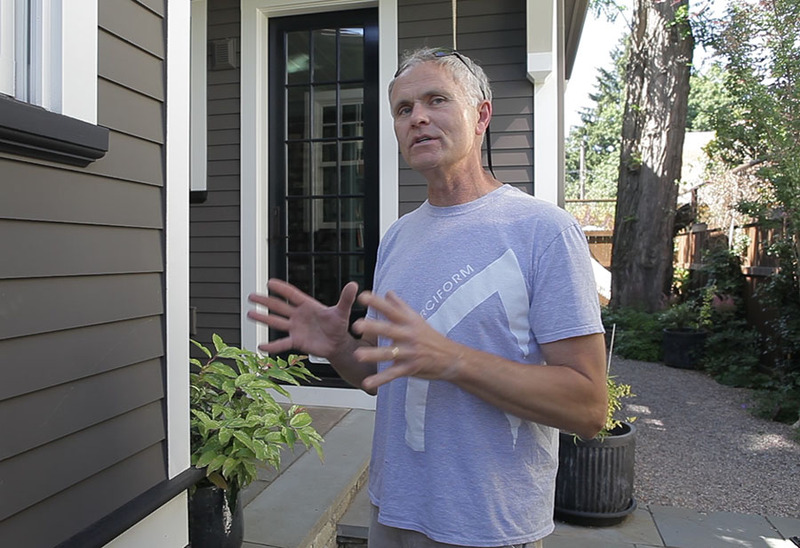 They know that things like trim and details need to match up, and that you can find all the old hardware, millwork and classic house parts that you need right here in Portland—places like Hippo Hardware and The ReBuilding Center have high quality, original products that make the design seamless,” says Roger. “You can tell an ARCIFORM remodel because it’s seamless. You can’t tell where the original structure ends and where the new starts,” says ARCIFORM site lead, Roger Muller. “Old houses are not like new homes. They come with lots of challenges. We often have this idea that they knew what they were doing in the old days, but sometimes they didn’t,” explains Roger. 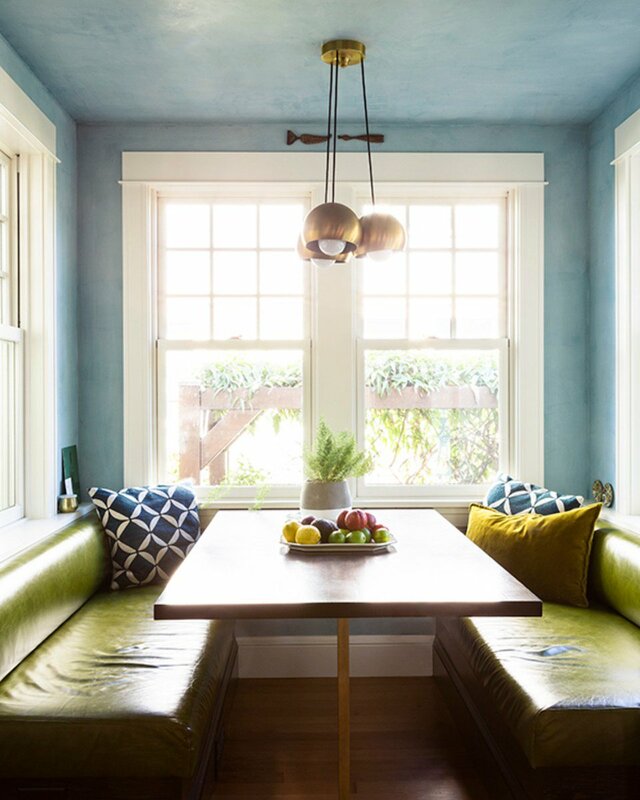 It’s easy to see the bond that has developed between Kerri, Roger and Anne as they discuss the details of the home and what their favorite parts are. Anne, Roger and Kerri playfully smile for all the cameras in the mudroom. “I like the mudroom,” says Anne. “Anne and I play off each other really well. 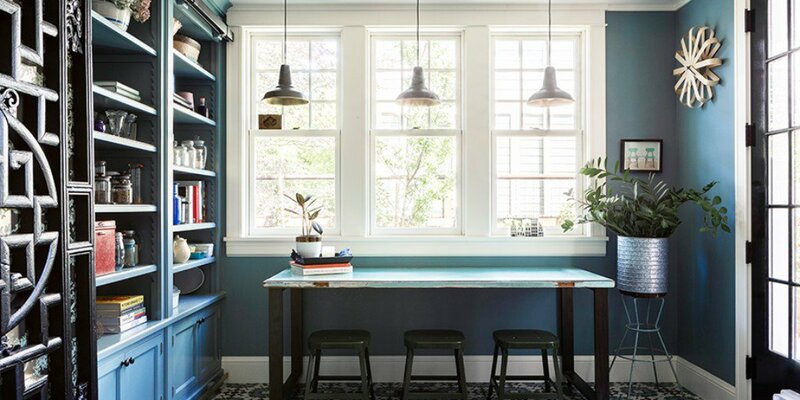 When designing the mudroom, she said, ‘What do you love to do? Why don’t you design your mudroom around that? Your kids are old enough now that this can be your room.’ The ideation was really fun with her,” says Kerri. As Anne practices for her spot on camera, it’s clear how much she cares about her clients and her work. She rehearses the perfect words to say that encapsulate what they do. “At ARCIFORM we’re inspired by the stories of people and spaces. We bring stories to life – we revive them. The stories of buildings that conjure up the eras in which they were created, and the stories of the people that are interwoven with the buildings – the designers, the craftspeople, the owners and the people who lived or worked there. It’s all carried forward and preserved in our work,” says Anne. Anne takes a moment to collect her thoughts as she prepares for her spot on camera. “It has been a phenomenal experience. 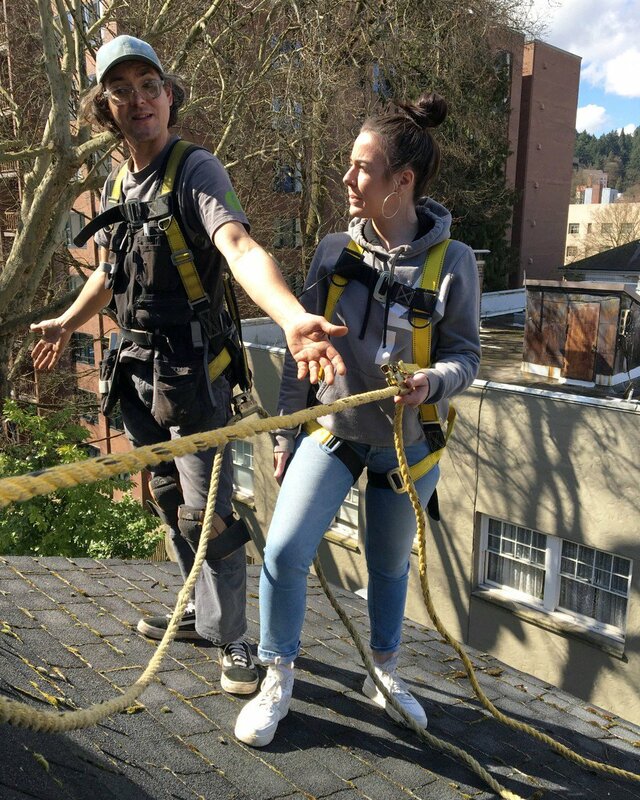 Anne, Richard and their team are 100% committed to their passion to giving new life to old homes in a respectful way. They stand for quality and craftsmanship in all that they do,” says Kerri. And we call it a wrap. A painting Kerri purchased on the streets of Chengdu when she lived in China for a few years. “Peonies in China are a very special flower. They stand for riches and honor. It is a very special memory from that special time in my life,” says Kerri. The dried flowers are aliums from her garden. Tray from Svenskt Tenn; one of Kerri’s favorite shops in Sweden. Kerri found this vintage chair at a local vintage store and had it recovered by favorite upholsterer, Lake Grove Upholstery; antique screen from China; a quirky zebra head that gets dressed up for every holiday and a “Be Amazing” print bought at a street market in London. You can also see a portion of Kerri’s huge collection of cookbooks. Kerri and Anne were inspired by the paneling made by Pioneer Millworks at Olympia Provisions. So, using salvaged trans-pacific shipping wood from The Port of Portland, they designed these. “Some of those glasses were my grandmothers,” says Kerri. Beautiful and so welcoming. Thank you for sharing. We adore Arciform and everything they stand for. Love the renovation and especially Bijou’s documented ownership of all parts of the process!